The legend of Bong Joon-ho‘s Snowpiercer is beginning to eclipse the actual movie. The story is set in a new ice age caused by a failed experiment to stop global warming that killed virtually all life on the planet. The sole survivors live on a train called Snowpiercer—powered by a perpetual machine—who struggle with the class system implemented on the train. 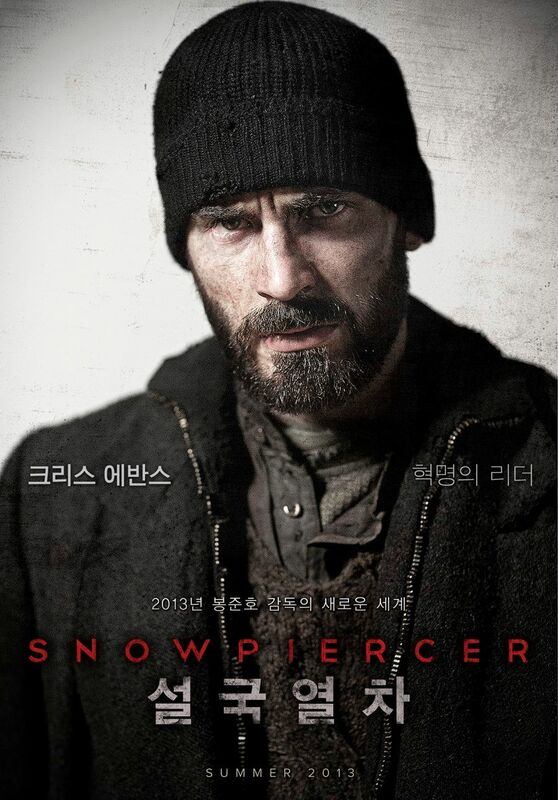 Snowpiercer was a hit in Bong’s native South Korea, and it’s slowly rolling out to other territories. However, behind-the-scenes wrangling continues between Bong and U.S. distributor The Weinstein Company. Harvey Weinstein wants a shorter, more action-oriented cut, while Bong obviously wants to keep his cut intact. The result is that we currently don’t know what we’ll get or when we’ll get it. As we wait, new trailers continue to roll out, and a new one from Japan features plenty of fresh footage, and a heavy emphasis on the movie’s protagonist, Curtis (Chris Evans). Hit the jump to check out the trailer. The film also stars Tilda Swinton, John Hurt, Jamie Bell, Ed Harris, Alison Pill, Ewen Bremner, Octavia Spencer, Kang-ho Song, and Ko Asung. Snowpiercer opens in Japan on February 7th. Let us know what we’re missing, Japan.